In the second part of the final installment in the series dedicated to brain-related research, neuroscientist Professor Giuseppe Di Giovanni explains the inspiration behind the Malta Neuroscience Network and how it is helping to bring brain-related research to the forefront. It was a warm afternoon in September 2014 when Professor Giuseppe Di Giovanni first realised that while there were many people interested and working in neuroscience, very few of them communicated between one another. This epiphany came as he was thinking about the Studio 7-produced RIDT and Science and the City documentary, Jien Min Jien, which outlined the research that was taking place at the University of Malta at the time. Professor Di Giovanni was one of those involved in the project, and organised the part about how neuroscience research had grown over the previous 10 years. As a neuroscientist himself, Professor Di Giovanni has been working on understanding the pathophysiology of the central monoaminergic systems of different neuropsychiatric disorders (which, in layman’s terms, means the way diseases, such as depression, Parkinson’s and Alzehimer’s, affect the brain) for over 20 years. That, as well as his work attracting funding from many international bodies, such as ERUK UK, Physiological Society UK, PON Italy, and various national Maltese bodies (including the MCST R&I 2013 Grant), made him the ideal candidate for it and for what was to come. “I could see the enthusiasm on his face. In fact, he immediately said ‘Yes’,” he continues. “After that, I started contacting everyone working on neuroscience, and anyone who I thought would be enthusiastic about this proposal to create a network of people, all with different neuroscience specialisms.” Among those people to first support the Malta Neuroscience Network (MNN) was Wilfred Kenely, the CEO of RIDT. Working together, Professor Di Giovanni and Wilfred Kenely worked on holding the first Malta Brain Awareness Week (BAW), and fundraising which was meant for Professor Di Giovanni’s research on depression and epilepsy, was channeled to the entire research community. That funding will now, after being peer-reviewed, fund the first two projects. “BAW is the global campaign that aims to increase public awareness of the progress and benefits of brain research,” says Professor Di Giovanni. “This global celebration, launched by The Dana Alliance for Brain Initiatives, presents an opportunity to bring attention to advances in brain science and advocate for science funding. The best part is that activities are limited only by the organisers’ imaginations and include open days at neuroscience labs, exhibitions about the brain, lectures on brain-related topics, social media campaigns, displays at libraries and community centers, and classroom workshops, among others.” But that is just the tip of the iceberg of what the MNN network was set up to do. The Network aims to encourage and facilitate interdisciplinary research so as to bring together academic members from all the Faculties of the UoM with an interest in the rapidly-growing field of Neuroscience, as well as to promote interdisciplinary dialogue among all those involved in neuroscience. Although it is still in its infancy, the Network has already been accepted as the 43rd member of the European Neuroscience Societies by FENS – “A pivotal affiliation in the development of neuroscience in Malta,” he says. And it is also collaborating with the Mediterranean Neuroscience Society (of which Professor Di Giovanni is the treasurer). “The Mediterranean Neuroscience Society was created to support and help strengthen all initiatives that bring together Mediterranean neuroscientists. This has been achieved through schools and biannual meetings that have proven to be highly beneficial, not only for the scientific exchanges, but also in terms of training opportunities for students and young researchers. I am very happy that, after a successful 2015 meeting in Cagliari (Sardinia, Italy), the next meeting will take place in Malta in 2017, with the MNN being involved in its organisation,” he explains. Along with Professor Di Giovanni, the MNN is made up of numerous other members, including Professor Helen Grech, Dr George Azzopardi and Professor Mario Valentino, whose research we covered over the past few months. 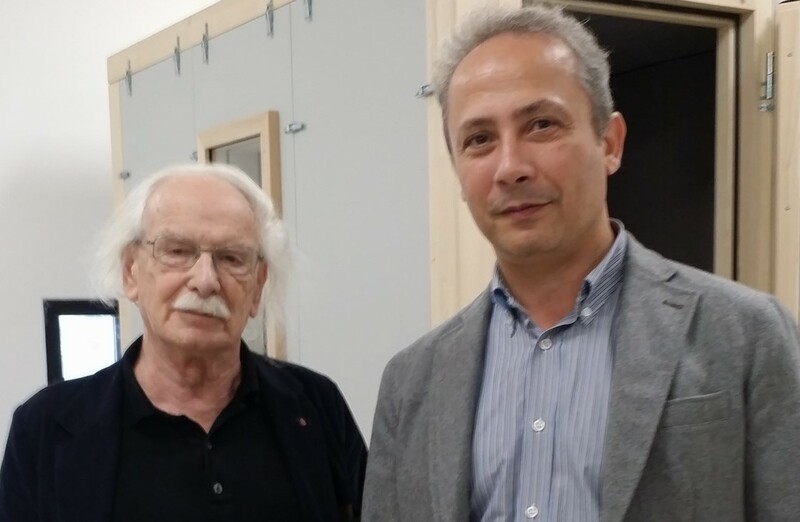 Moreover, Professor Giacomo Rizzolatti, who discovered mirror neurons, and Professor Vincenzo Crunelli from Cardiff University, who is a world-renowned neuroscientist specialising in epilepsy, are also part of the network. The importance of such a Network cannot be overestimated, however. Going back to the initial quote by Professor Di Giovanni, the brain is our most precious tool – be it for health, problem solving, or the advancement of technology and society. Yet, although many would agree with this, few take the time to truly acknowledge the importance of research related to the brain. The MNN is now changing that, bringing to the fore the people and the research that is taking place on our island and connecting them to many international channels. And while there is no doubt that there is still a long way to go before the brain becomes a priority – a statement that beggars belief in itself – Professor Di Giovanni (along with the MNN) are definitely on the right track. You too can be part of this fascinating world of research by supporting researchers in all the faculties of the University of Malta. Please click here for more information on how to donate to research through the Research Trust (RIDT). To join the Malta Neuroscience Network Programme, please fill in this brief online membership application.